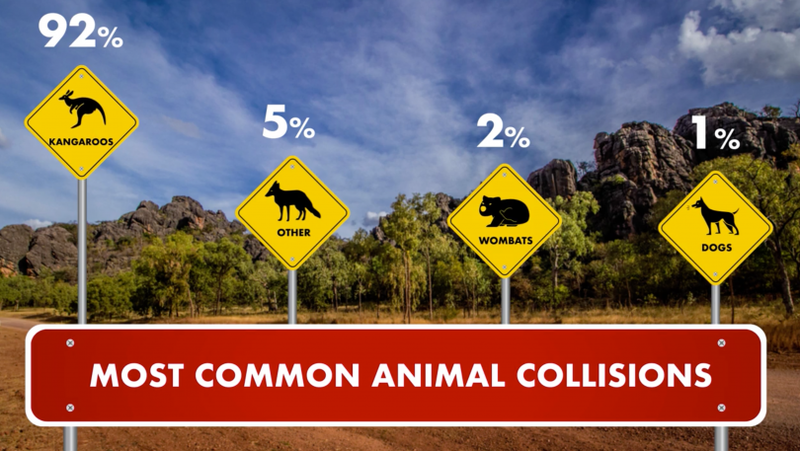 The main animals that drivers collide with on ACT roads. Canberra was deemed the ‘collision capital’ two years in a row last year, which raises the question: who is liable for the loss or damage incurred in the event of a collision between motorist and animal? In NSW, the courts considered the situation of cattle escaping a nearby paddock onto a highway with an 80km speed limit. A driver of a vehicle tried to brake to avoid a collision, but a vehicle driving behind him failed to stop and a rear-ended collision occurred, causing significant injury to the driver of the vehicle in front. The driver sued the driver of the vehicle at fault and the farmer who owned the paddock on which the cattle were grazing. The driver of the vehicle at fault admitted his liability in negligence for the collision, but the farmer did not. 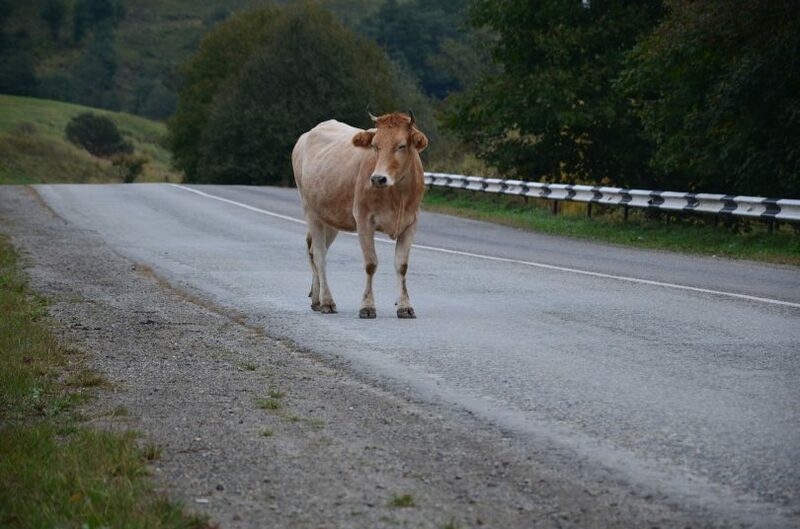 A few weeks prior to the incident, an employee of the local council had attended the farm and found that a cow had escaped onto the road. The local council then sent a letter to the farmer, requiring him to update the fence bordering the highway to an appropriate standard. In the days following this notice, local council employees attended the premises to inspect the fence repairs, but the fence repairs were deemed inadequate and unsatisfactory. Given the high-speed limit on the road and the property’s proximity to a blind bend, the judge acknowledged that the likely seriousness of harm was great. He concluded that the risk of harm was high and foreseeable, so much so that the local council instructed the farmer to take steps to mitigate the harm by fixing the fence. It was found that a reasonable person in the farmer’s position would have taken precautions, so that the farmer’s failure to do so was unreasonable. As a result, the driver of the vehicle at fault was 35% responsible for the accident and required to pay over $300,000 in damages, whilst the farmer was 65 per cent responsible and was required to pay damages of over $600,000. In 2006, a horse escaped through an unlocked paddock gate and collided with a vehicle driving along a highway in Victoria, killing one passenger and severely injuring another. The Transport Accident Commission paid out compensation, and subsequently sued the company who owned and occupied the property, and the tenant of the house on the property. The court found that whilst the company owed a duty to road users to take reasonable care to prevent the escape of the horse, the company did not breach this duty because the foreseeable risk of the horse escaping was very small due to the fact that the gate had not been left open before, and the paddock gate had been operating satisfactorily for the last 9 years. It was found that the company acted as a reasonable person would have given that the risk of the horse escaping was not highly foreseeable. Their Honours noted that reasonable care did not require the company as occupier of the land to institute a failsafe system to ensure that the gate was closed at all times. With regards to the tenant, the court found that there was no basis to impose a duty of care on the tenant for risks arising from his neighbour (the company’s) activities on his property, because the tenant was not the occupier of the property on which the horse was kept, was not in control of the use of the horse paddock and did not have control over the paddock gate or entrance gate. Farmers and owners of livestock on paddocks adjacent to roads should adhere to council instruction to maintain adequate fencing of their property. In New South Wales, the legislation contains ‘no fault provisions’, which allow drivers to make claims for damages for personal injury in certain circumstances where the accident is not caused by the fault of any other person. In 2015, a motorcyclist who was riding his friend’s motorcycle collided with a kangaroo which jumped onto the highway. The motorcyclist attempted to use the no fault provisions in the legislation to claim damages against the owner of the motorcycle who was indemnified by a compulsory third party (CTP) insurer. However, it was later clarified that for a motor vehicle accident to be considered ‘blameless’ under these provisions, the accident must be causally related to the use or operation of the motorcycle by the owner or driver, but no fault in that use or operation. The motorcyclist’s claim ultimately failed because the incident and resulting damage was not causally related to the use or operation of the motorcycle by its owner. Perhaps it would be a different (and better) outcome for the motorcyclist had the brakes failed causing the collision with the kangaroo. Unfortunately for ACT drivers, the legislation contains no such ‘blameless’ motor accident provisions to allow individuals to make a claim for damages arising out of an accident where no other person was at fault. As such, ACT drivers are not able to claim CTP compensation for injuries suffered in accidents where no one was at fault.Changes to the status of CTP insurance in the ACT are subject to a citizens’ jury on CTP insurance which has been underway in the ACT since 2017. The jury’s final report was presented to the Chief Minister Andrew Barr MLA in 2018, but the project is still in progress. If you have been involved in a car collision involving animals on the road and would like to discuss your options, please contact Bill McCarthy at BAL Lawyers. Written by Bill McCarthy and Maxine Viertmann.